Put most simply, a centrifuge is a machine that uses centrifugal force to separate fluids and other contents that have different densities. From processing suspended sediment soils to isolating nucleic acid, laboratories use centrifuges for a number of different reasons, which is why Pipette.com recommends using the most effective laboratory centrifuge on the market: the Eppendorf 5424 and 5424R. What makes the Eppendorf Centrifuge 5424 & 5424R the ideal laboratory centrifuge? Eppendorf has been a trusted leader in the centrifuge manufacturing industry since they introduced their first centrifuge in 1964. Laboratories continue to choose Eppendorf centrifuges because they are built to a high level of efficiency thanks to their German engineering. All Eppendorf centrifuges feature an ECO shut-off function that saves 47% energy and a consistent temperature range to protect all samples that are used. 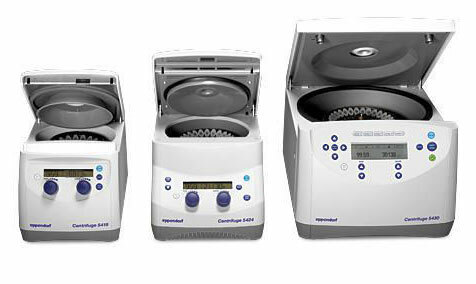 The Eppendorf Centrifuge 5424 and 5424R, in particular, offers all of the standard features of any typical Eppendorf centrifuge, but also so much more. Not only is this 24-place model set the standard for speed, silence, and simplicity, but it also has a number of other advantageous features including compact size, low access height, an automatic lid opening, rotary knobs, 2 operation panels, and a separate short-spin button to allow for both short and fast spins. 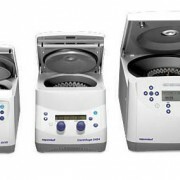 To learn more about the Eppendorf Centrifuge 5424 and 5424R, or to browse through all of the Eppendorf Centrifuges that are available for purchase from Pipette.com – visit online today!